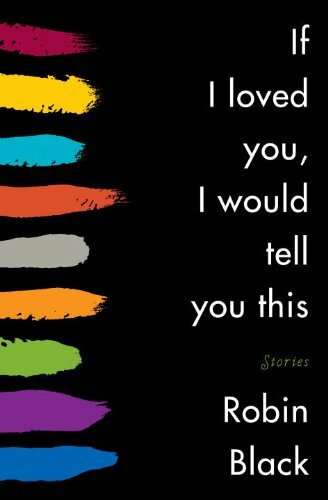 If I Loved You, I Would Tell You This [Audiobook Review] – my books. my life. A short story collection focusing on relationships and all of their complications. From a father with a blind daughter, to a widowed mother and her best friend, to 65-year-old twins celebrating their birthday abroad. Have you ever noticed that short stories are usually way more depressing than novels? Is it that authors think they can get away with it because they are only depressing you for short time periods? I read this one for book club, but it was actually on my TBR awhile back. As often happens with short story collections, I really liked some of them and didn’t care for others. Black excelled at writing complex relationships, and, as one of my book club members pointed out, these characters were well-developed despite their brief time on the page. I would be really interested in reading a full-length novel by Robin Black. There were four different narrators, which worked. The characters and the stories varied so much that one narrator would have made it difficult to transition. I have had both good and bad experiences with short stories on audio. But multiple narrators are usually a home run, and that cast of narrators is excellent! I have a love hate relationship with short stories. As a writer, I love them. They are actually all I have ever written. However, as a teacher and reader, I find them difficult. Students rarely buy into short stories because there isn’t enough time for them to really grasp what is going on. However, for struggling readers they can be amazing because they are short and to the point. As a reader myself (not one who typically struggles), I find it difficult to get through entire collections of short stories unless they are somehow bound together in some overarching storyline. However, like most types of literature I don’t especially enjoy, I tell myself I should read more short stories and eventually I’ll like them better. When I first saw the cover of this one, I didn’t realize it was a collection of short stories. The overall topic of the selection does intrigue me so maybe I’ll give this a shot!